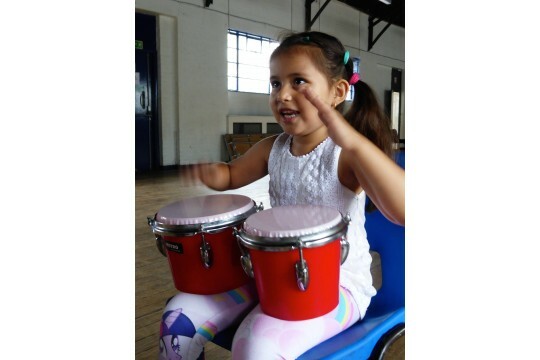 Every Saturday in term times we run age-related music sessions for children from birth to 17 singing together and working in small groups on a wide range of rhythms and instruments, keyboard, drum, guitar, percussion, cello, violin and steel pan, learning key life skills, listening and working together and developing confidence and self worth. 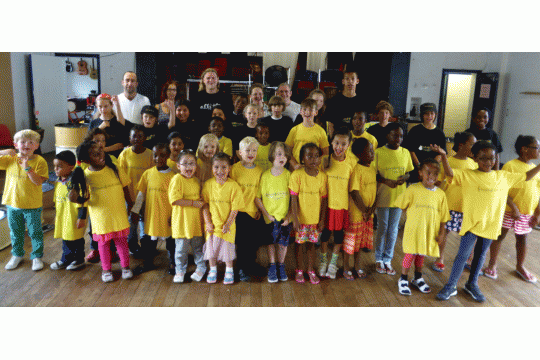 Children do not need any music skills to attend, and we provide performance opportunities termly for all but the very youngest and a weekly drama session. Southwark Music Service said about us, 'Excellent teaching, great team work, fantastic use of instruments', 'Enormous fun' … 'An exciting place to be'…. 'Achieving at a higher level than would be expected in school' … 'Totally accessible for anyone'. We particularly target low-income families from the local estates who would not have access to high quality teaching and support. We get many parents telling us how much their child has developed in their self confidence as a result of coming to CCS, and a number have even won music scholarships to secondaries etc. In our 25 years around 2800 children have benefited from coming. Several have taken up music careers, one former pupil recently performing for the President of the USA! There is also a great community feel as parents and families meet each other and build relationships.